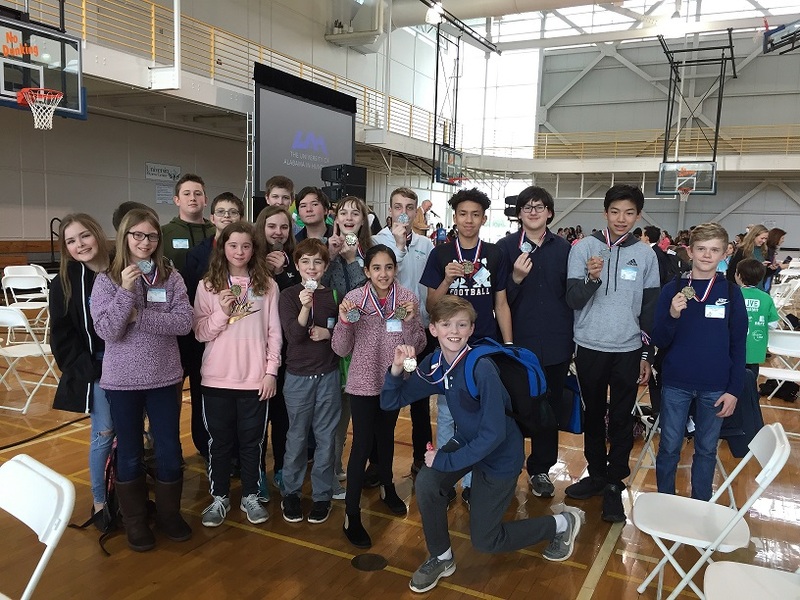 Challenger Middle recently entered the Northeast Regional Technology Fair sponsored by the Alabama Consortium for Technology in Education. The fair was held at UAH on Friday, March 1st. Students brought projects in various technology categories such as animation, robotics, website development and Hardware modification and they entered as an individual or a group. Students were judged by local industry professionals and competed against others in Levels based on their current grade. Level II is 5th-6th and Level III is 7th-8th. For this to be our first adventure into this Fair, we brought home 15 medals! Those students who placed 1st or 2nd qualify to move onto the State competition in Montgomery, April 13th.